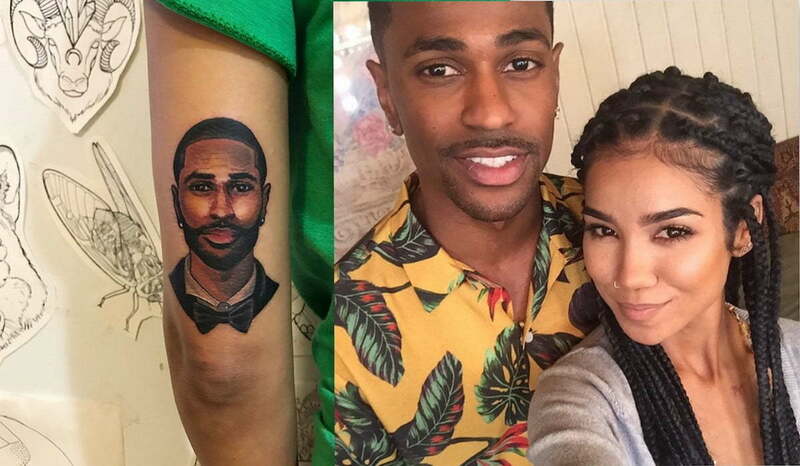 Jhene Aiko appears to have covered up her tattoo of Big Sean amidst reports of their breakup. Rumors have been floating around for the past months that Big Sean dumped his girlfriend Jhene Aiko and now she has been spotted out with a giant tattoo that appears to have covered her old tattoo portrait of the Detroit rapper. Sean Don and Aiko formed a group last year called TM88 and dropped an album. There were both working on their second album as a group, but so far we haven’t heard anything new about the project except that the pair has parted ways. Sources are saying that Big Sean has been spotted out with a blonde female rumored to be his new boo. “He cheated on her [Jhene Aiko] with a blonde, and now they are officially dating leaving her out to hang dry,” sources said. Our sources added that Big Sean has cheated on the R&B singer more than once and that their relationship has been on the rocks for quite some time. In March of this year, reports surfaced claiming that Big Sean cheated on Jhene Aiko with singer Nicole Scherzinger. The G.O.O.D. Music rapper denied the allegations and Aiko addressed the cheating rumors saying that they were not true. “Sorry, but nothing about you guy’s fan fiction stories are true… I still love you tho,” she said. “The internet is a wild place it’s a whole other reality. Bless the internet. Amen,” she added in another tweet. This is not the first time that Jhene Aiko came out public with a new tattoo that appears to have covered up the old one of Big Sean. Last year she trolled the internet when she debuts a fake tat that covered up the BS portrait. So take this with a grain of salt, at least until one of them addressed the rumors.